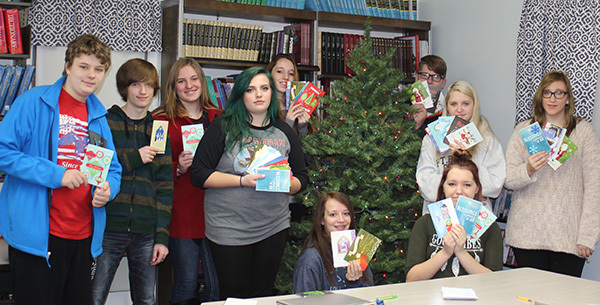 Tag Archive | "Social Studies"
CTA takes pride in character education in their 300 students. The November character trait they focused on was Kindness and they have rolled what they learned into December – a month where there is much need for kindness and giving. 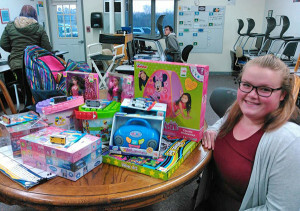 11th grade student Cortney Aspinall displays a few of the toys that were collected for Toys for Tots. Kindergarten students won the coin drive. The largest project of the season was the school-wide Toys for Tots toy drive combined with a coin drive. The initiative is in its 4th year at CTA. Each class competed to raise the most “positive” change – pennies counted as positive and silver and dollars counted as negative. 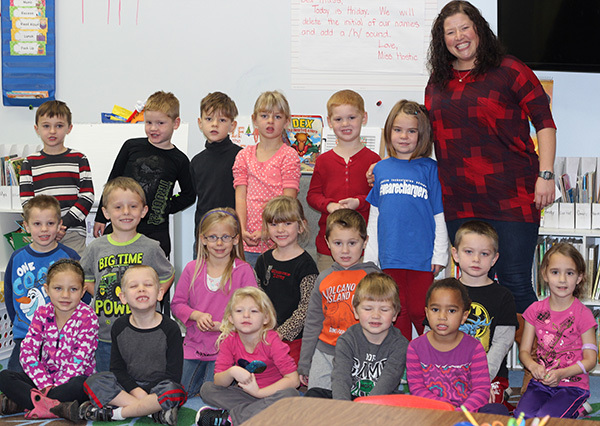 The kindergarten class raised the most with more than $52 “positive” dollars and the school as a whole raised more than $800. All of the funds raised during the coin drive were donated to the Toys for Tots campaign to be used to purchase additional gifts for children throughout southwest Michigan. The school also served as a WZZM 13 Toys for Tots drop off location and collected 78 toys from students and the community. Kindergarten teacher Lauren Bostic, who assisted in coordinating the Toys for Tots projects shared, “Our hope is that these students will look outside of themselves to see that there is a great need in the community and the world and that other children may not enjoy the ‘luxuries’ they are used to – such as gifts under the tree on Christmas morning.” The coin drive has been going on for more than 4 years and previously the funds went to Helen DeVos Children’s Hospital. Society In Film students display the many cards they wrote and made for servicemen and women. 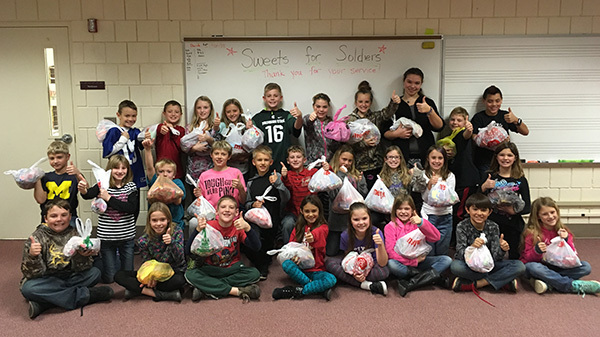 On Thursday and Friday, 11/10-11/11, the students at Cedar View donated their leftover Halloween candy for Sweets for Soldiers – to fill a requested need from our local Grand Rapids Home for Veterans. In just those two days, we completely filled a maintenance-sized trash can of candy – showing kindness + service to others! VERY cool. The candy was sorted, bagged, and weighed by my class last week – and our grand total was 96 pounds of candy! 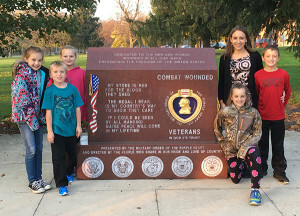 On Wednesday (11/16), a few students and families were then able to join in the final task of this community service project by driving with me to Grand Rapids and hand-delivering the candy and over 100 Veterans Day Thank You cards to the Grand Rapids Home for Veterans. Shaking hands with individuals who live there was very powerful! It was a privilege to read the monuments and artwork, as well. 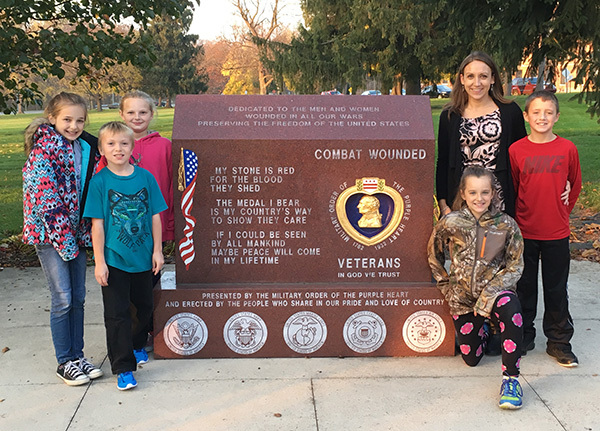 Every student should be proud of their work in serving their community and honoring those who have served! Mrs. Debri’s and Mrs’ Bellamy’s classes created some Veterans Day project pictures. They decorated hearts with tissue paper and glue – great fine motor activity! The papers read, “Thank you for your service! From a Kindergarten student at Cedar Trails Elementary.” They were delivered to the Grand Rapids Home for Veterans on November 11, 2016, Veteran’s Day. Red Hawk Elementary’s Mrs. Biondo’s Social Studies students were singing along to “I’m Proud to be an American” while writing. Mrs. Biondo is very proud of her class, as they all wanted to write more than one letter to Veterans!